Proden’s facilities are equipped with the latest laser and waterjet cutting machines designed for precision, accuracy and speed. These advanced capabilities ensure that our customers receive better quality, high performance products. Proden is the only diemaker in Canada offering waterjet, and flat and rotary laser cutting capabilities all under one roof. 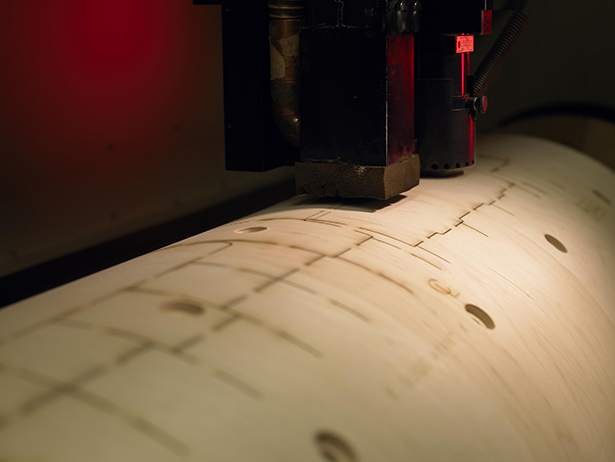 Our laser setup is unique and offers 100% flexibility between flat and rotary cutting as well as the capacity to laser cut multiple rotary wood diameters simultaneously. We also use our state-of-the-art technologies to provide our customers with a wide range of cutting services. From locations in Montreal and Toronto, Proden offers a full range of design, manufacturing, maintenance and distribution services along with unequalled customer service.